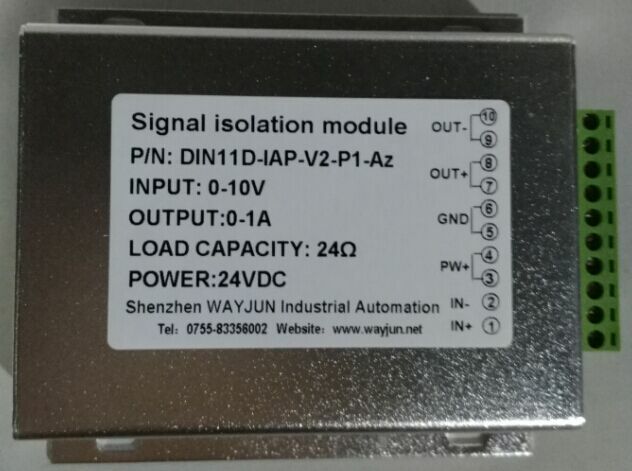 Hot Sell: 4-20mA/0-10V signal isolated splitter/isolated amplifier,one in two out, DIN35 Rail-mounted.Two years warranty,CE approved. WAYJUN this product uses advanced isolated technology, quarantine inspection / monitoring DC voltage signal, small size,low power,high accuracy. Input/output/auxiliary power supply three isolation.Widely used in such fields as electricity, chemicals, petroleum, industrial and automatic control. Note:when you order,please tell us your part No. or details.